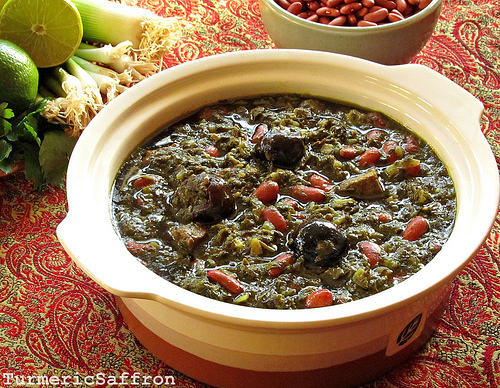 خورش قورمه سبزی Khoresh-e Ghormeh Sabzi is one of the most delicious and popular dishes among Iranians. 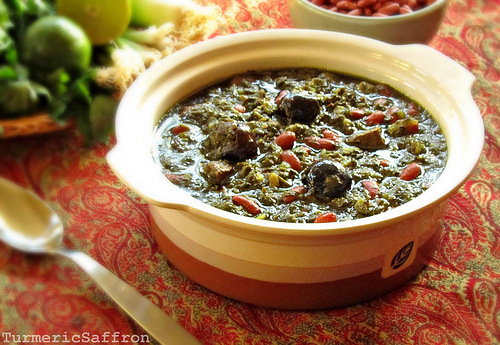 I’ve never met anyone who didn’t like ghormeh sabzi. The combination of flavorful and aromatic herbs, slow cooked lamb cubes, fork-tender beans and dried lemons make the khoresh very tasty and nutritious. My mother would call this dish a Sabzi Stew (vegetable stew) because she would add a whole lot of vegetables to the pot including spinach and dill. This is my simplified and the more common version. Clean and wash the herbs, dry thoroughly and chop finely. Heat 1/3 cup of vegetable oil in a large skillet over medium heat and saute the chopped fresh herbs for about 15 minutes, stir frequently. Set aside. In a large stew pot, saute chopped onions in 2 tablespoons of oil until they become golden brown. Add the meat, turmeric, salt, pepper and fry until all sides are brown. Add the soaked dried beans, fried vegetables and dried lemons. Pour in enough water to cover the mixture by about 2 inches, bring to a boil on high heat for just a couple of minutes, lower the heat, cover and cook on medium to low heat for 1 1/2 hours. Taste and adjust the seasoning as necessary and add a little more water if needed. Reduce the heat to its lowest setting and simmer for another 30 minutes. 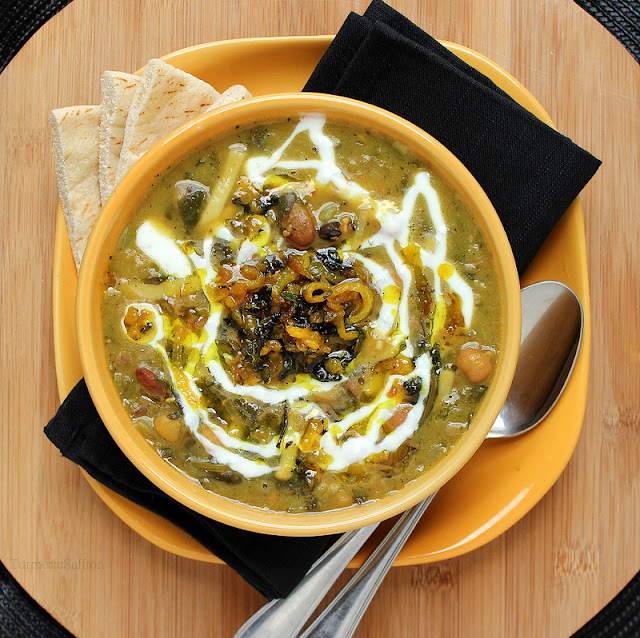 The longer ghormeh sabzi simmers the better it tastes. ( khoob ja miofteh). It would also taste better reheated the next day. Taste and adjust the seasoning before serving. Serve hot with basmati rice, salad shirazi and mast o khiar. دلمه فلفل Dolmeh-ye Felfel (Stuffed peppers) is a mixture of ground meat, rice, aromatic herbs and yellow split peas stuffed into bell peppers for a delicious meal. Stuffed peppers are easy to make and area wonderful main course or side dish. 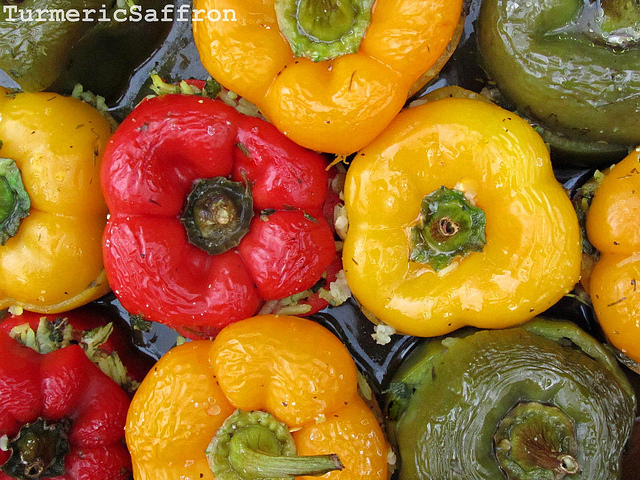 Sweet peppers come in a variety of beautiful colors and make a colorful dish for your parties. Cut the tops of each bell pepper and set aside, clean the inside of peppers and remove seeds, lightly salt inside of each pepper. In a frying pan saute onions in 2 tablespoons of oil until soft and transparent, add turmeric, ground meat, salt and pepper to taste and brown the meat. Set aside. In a medium saucepan, place rice and the split peas, add 3 cups of water, 2 tablespoons of oil and a teaspoon of salt. Cover and cook on medium-low heat until water is fully absorbed for 15-20 minutes. In a large mixing bowl, combine the ground meat, rice and peas, chopped fresh vegetables, dried herbs, salt and pepper. Mix thoroughly. Spoon the rice and meat mixture into the bell peppers. Arrange the stuffed peppers in a large pot, put tops back on the peppers. In a small bowl, mix 1- 1/2 cups of water, 2 tablespoons of olive oil, lemon juice, tomato sauce, salt and pepper. Pour the mixture over the peppers. Cover and cook for about an hour on medium to low heat until the peppers are well cooked. You can also bake this dish in a preheated oven at 375 degrees Fahrenheit for 50 minutes. 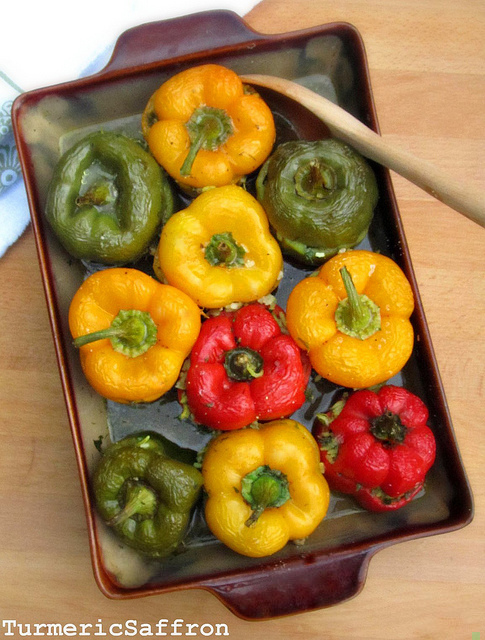 If you like a sweet dolmeh sprinkle 1-2 tablespoons of sugar over the peppers before placing them in the oven. 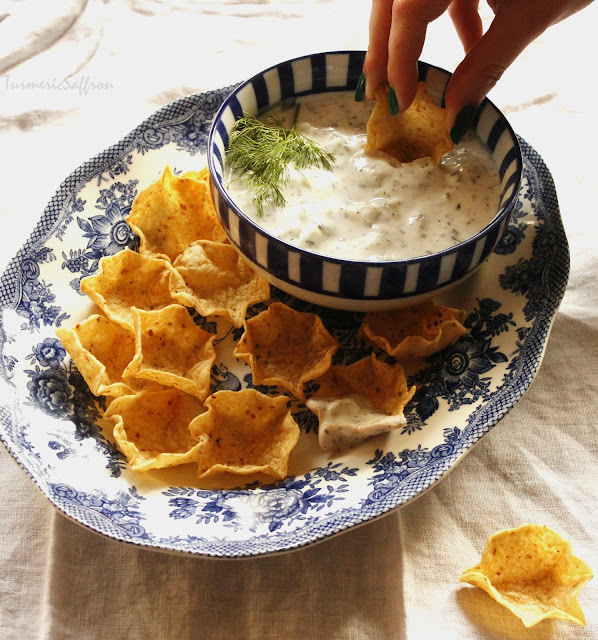 Serve warm with pickles and mast o khiar. ماست و بادمجان/ بورانی بادمجان Mast-o-Bademjan/ Borani Bademjan (eggplant and yogurt dip) is a very delicious appetizer especially for eggplant lovers. Also, if you enjoy the taste of garlic, this is a kind of dish that you may use as many garlic cloves as you like! Make 2-3 cuts in each eggplant to let the steam out and prevent it from bursting in the oven. Place the eggplant on the sheet pan and bake in a 400 degrees Fahrenheit preheated oven for about 40 minutes or until soft. Remove from the oven, set aside to cool. Remove the skin, chop into small pieces and place in a colander to drain. Heat 2 tablespoons of oil in a skillet over medium heat, add the onions, saute until golden, add the garlic, stir for 2-3 minutes, add the dried mint. Mix thoroughly. In a large mixing bowl combine the eggplant flesh, yogurt, sauteed onion and garlic, salt and pepper. Taste and adjust the seasoning. Transfer to a serving dish, garnish with a pinch dried mint, red pepper and a drizzle of olive oil. Serve cold or at room temperature with warm bread. 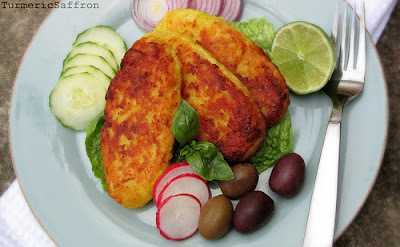 زرشک پلو Zereshk Polow with chicken make a great meal for any occasion and is a favorite among Iranians. Barberry (zereshk), grows in clusters like grapes. They are tiny and deep red in color. After purchase keep them in an air tight container in the freezer to maintain its freshness and color. Rinse the rice with cool water a few times. Soak the rice in 8 cups of cool water, add 4 tablespoons of salt, set aside for at least an hour. 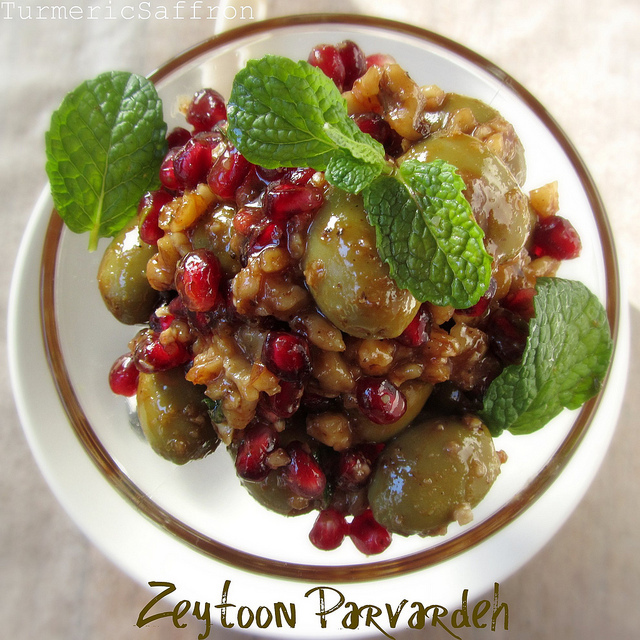 Pick over dried barberries (zereshk), wash and rinse a few times, soak in cool water for half an hour. Drain. Place 2 tablespoon of butter in a small saucepan, add zereshk to the pan, heat it up on a medium-low heat for five minutes. Add 2 tablespoons of liquid saffron and 1-2 tablespoons of sugar to balance the sour taste of zereshk (if you prefer a more sweet taste, add more sugar to the mixture). Mix thoroughly. Set aside. I usually sprinkle very little sugar to this dish. I like the sour taste of zereshk polow. In a large non-stick pot that has a tight fitting lid, bring 3 quarts of water to a rapid boil on medium-high heat. Drain and pour into boiling water. Bring water back to a boil for about 7 minutes. Test to see if the rice is ready. Rice grains should be hard in the center and soft on the outside. Drain the rice in a mesh colander and rinse with cool water a few times. 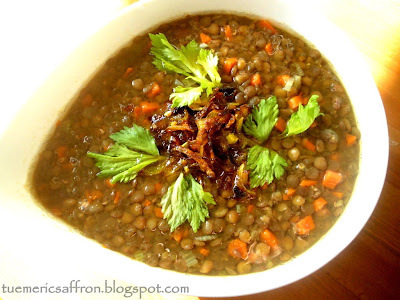 Wash the pot and return to heat, add 3-4 tablespoons vegetable oil and a tablespoon of liquid saffron. With a large spatula place the rice into the non-stick pot, building it into a pyramid shape. In order to release the steam make 3-4 holes in the rice with the bottom of the spatula. Cook for 7-10 minutes on medium heat until rice is steaming, when the steam starts to come out, pour 2 tablespoons of oil and 1/4 cup of water over the rice, cover, lower heat and steam the rice for another 50 minutes. With a large scoop take some rice and mix in with the remaining saffron and set aside. 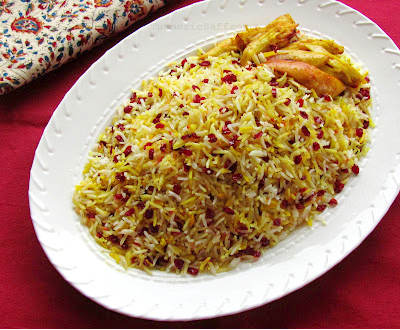 Serve rice on a platter, layer with barberries and the mixture of rice and saffron. 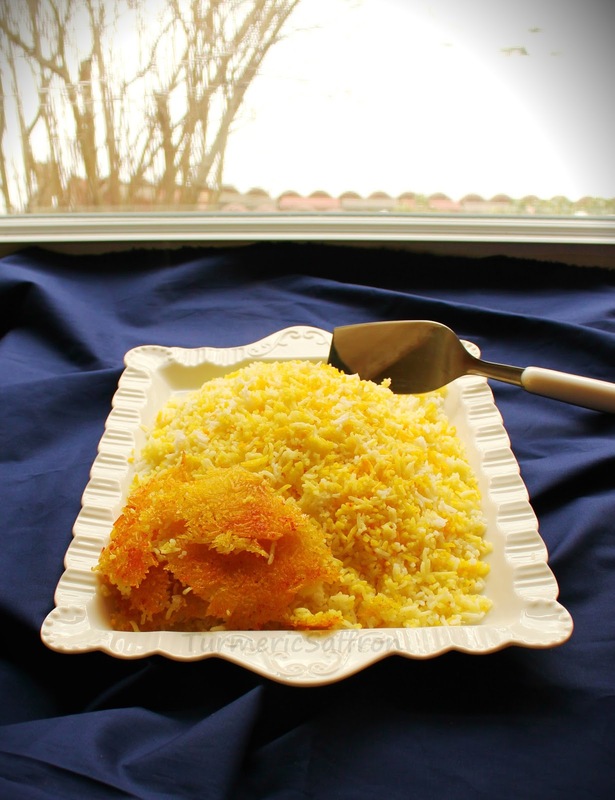 Gently remove the crusty bottom (tahdig) and serve in a separate plate. ماست و خیار Mast-o-khiar is a traditional and very popular Iranian side dish that is served with most meals. 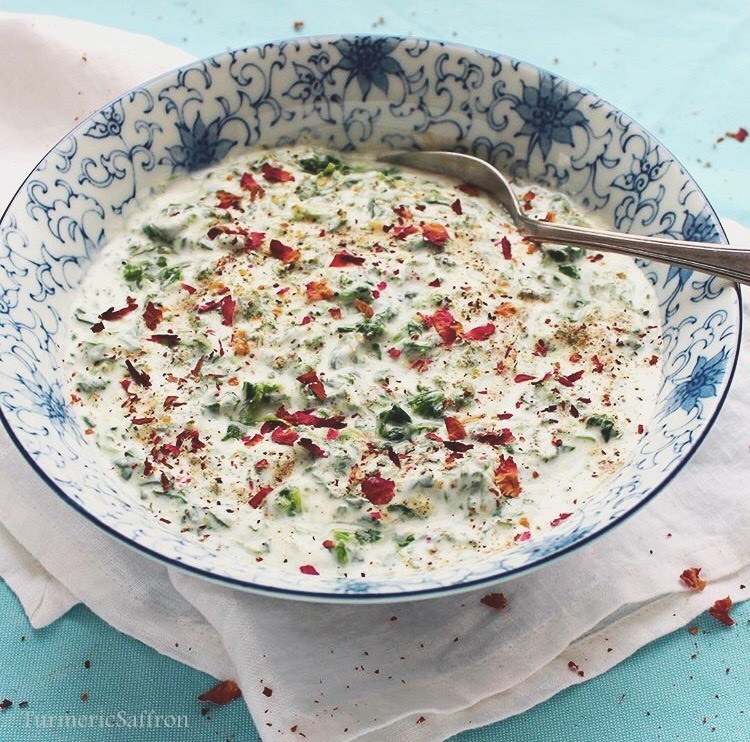 This is a simple, healthy and delicious yogurt recipe. You may add a handful of chopped walnuts and raisins for a little crunch and a bit of sweetness. In a mixing bowl, combine all ingredients and mix well. Taste and adjust the seasoning. 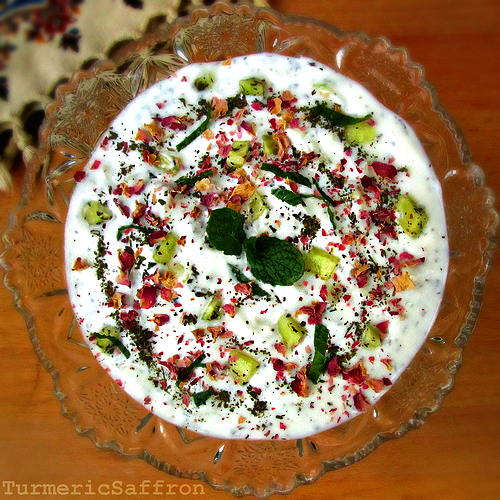 Place the yogurt mixture in a serving bowl, garnish with dried or fresh mint and dried rose petals. Mast-o-khiar makes an easy and tasty snack any time of the day. There have been culinary contributions from other cultures that were well received when they made their way into our culture, such as macaroni, salad olivieh and in the recent years, pizza. As I understand it, salad olivieh was first introduced to the Iranian cuisine somewhere between the late 60's and the early 70's and it easily became one of our popular dishes. It is said that "salad Olivier" was created by a French chef M. Olivier who opened a restaurant in Moscow in the 19th century and this was his recipe, if you are interested you can read more about it, here. The first time I had salad olivieh was at my sister's wedding reception many years ago which was prepared by a caterer. سالاد الیویه Salad Olivieh is a popular picnic or party dish in Iran. There are many different recipes for this dish. Olivieh salad is a combination of chicken, potato and egg salad all in one! I like to add lemon juice in addition to the pickles for a more tangy taste. Place potatoes in a pot, add enough water to cover potatoes, bring to a boil over medium-high heat. Cook until potatoes are tender. Drain, let cool, then peel and dice. In a small bowl, whisk mayonnaise, olive oil, lemon juice, salt and pepper. Mix thoroughly. 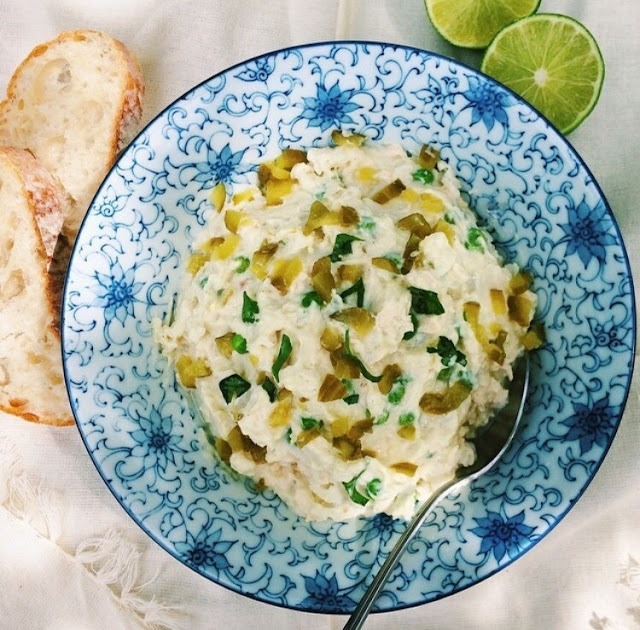 In a large bowl, combine chicken, potatoes, eggs, peas and chopped pickles. Add the mayonnaise dressing and mix well. Taste and adjust the seasoning. 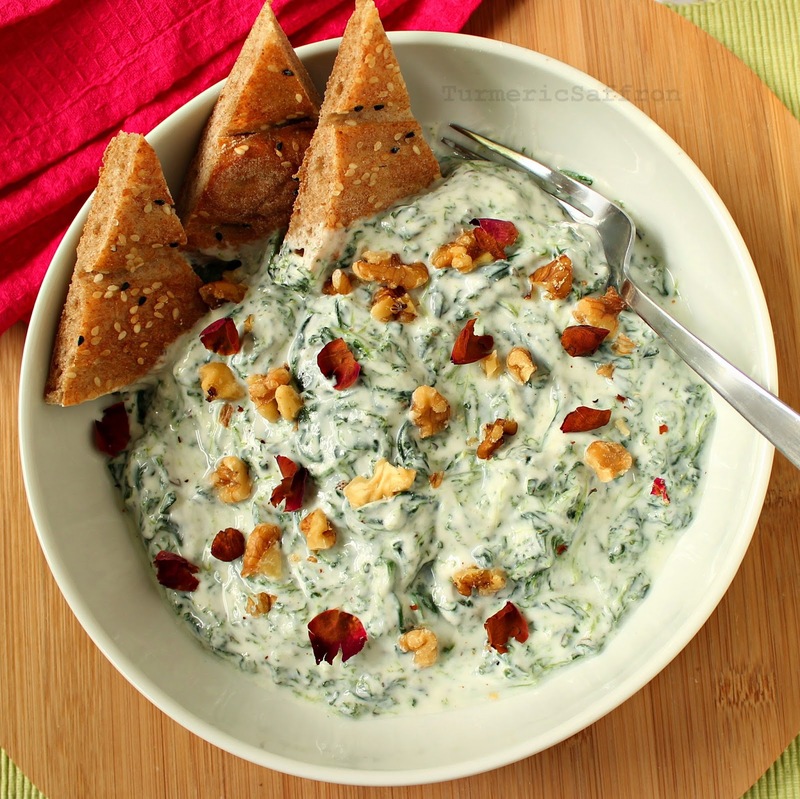 Spread salad olivieh in a serving dish. Garnish with olives, pickles and peas. 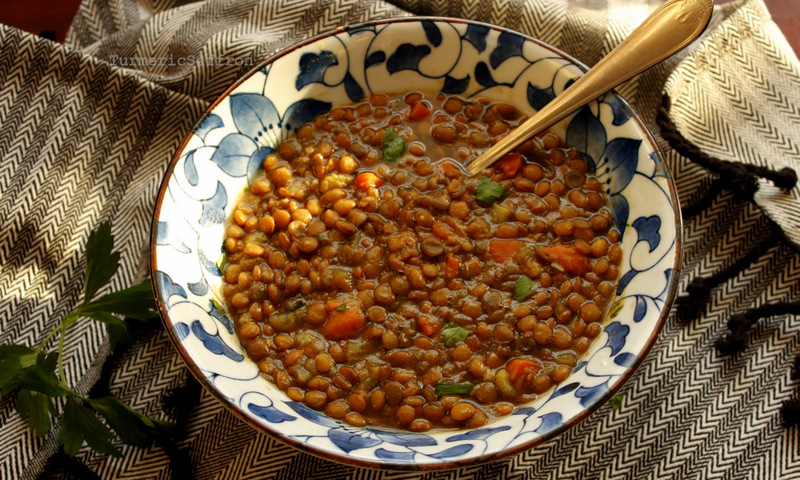 پلو Polow is a staple of Persian cuisine. There are different kinds of rice and many different ways of preparing a rice dish. The best kind of rice is the black-tail rice (dom-siah) which is very similar to the Indian aromatic basmati rice. 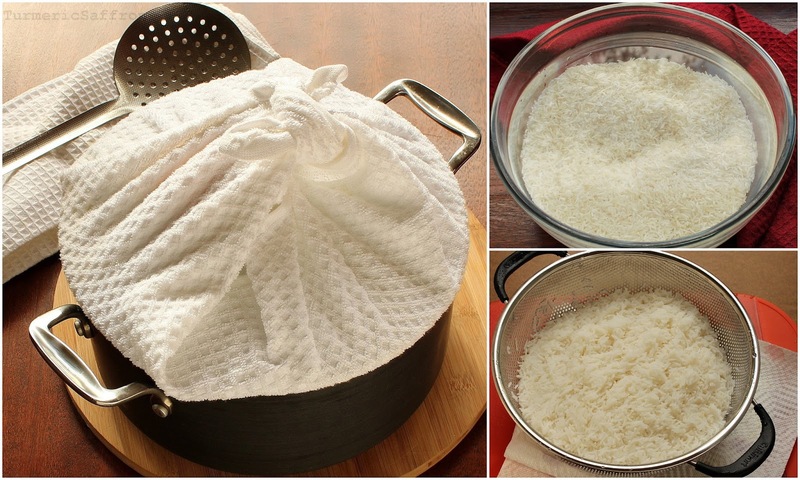 The best method for cooking rice is first parboiling and then steaming the rice until it is tender and fluffy. In a large bowl wash the rice with cool water a few times to get rid of the extra starch. Soak the rice in 8 cups of cool water, add 2-3 tablespoons of salt and set aside for at least a couple of hours. In a large non-stick pot, bring 8 cups of water to a rapid boil on medium-high heat. Drain the rice and pour into the boiling water. Bring the water back to a boil on medium-high heat for about 7 minutes or until the grains are long, soft on the outside and hard in the center. Drain the rice in a sieve and rinse it well under cool running water. Wash the rice pot and return to heat. Add 4 tablespoons of oil to the bottom of the pot and 1 tablespoon of saffron-water mixture. With a large spatula return the parboiled rice into the pot, building it into a pyramid shape away from the sides of the pot. In order to release the steam make 4-5 holes in the rice with the bottom of the spatula. Cook the rice for 7-10 minutes or until rice is steaming. When the steam starts to come out, pour 2 tablespoons of oil and 1/4 cup of water over the rice, cover, lower the heat and steam the rice on low heat for another 50 minutes. To serve when the rice is fully cooked use a large scoop and take some rice from the top and mix it with the remaining saffron in a bowl. Set aside. 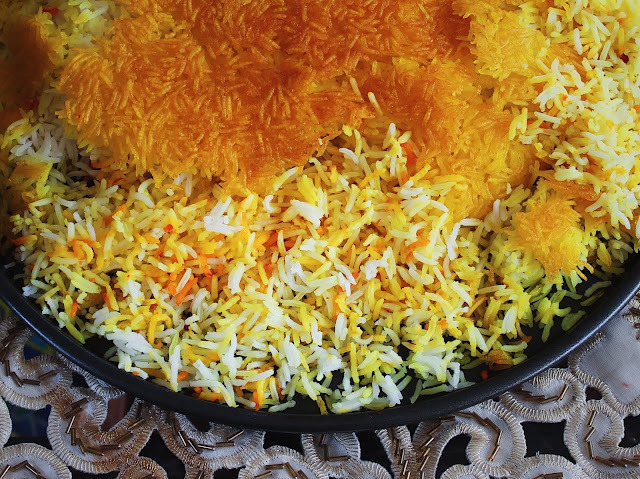 Serve rice on a platter, sprinkle the saffron rice on top. Gently remove the tahdig (bottom crust) and serve on a separate plate. This is a very easy, quick, nutritious and delicious soup. 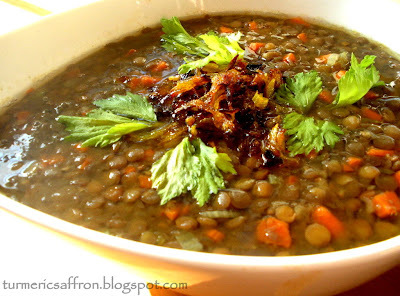 سوپ عدس Lentil soup is a flavorful soup for all seasons. However, I love making soups in the winter. In a skillet heat 3 tablespoons of olive oil over medium heat, saute onions until light golden brown, add garlic, saute lightly for 2-3 minutes, add turmeric powder, stir well. Add celery, carrots, lentils and 6-7 cups of water. Cover and cook for 50 minutes on medium-low heat. Add a little more water if needed. Add the parsley, salt, pepper to and lemon juice. Taste and adjust the seasoning. 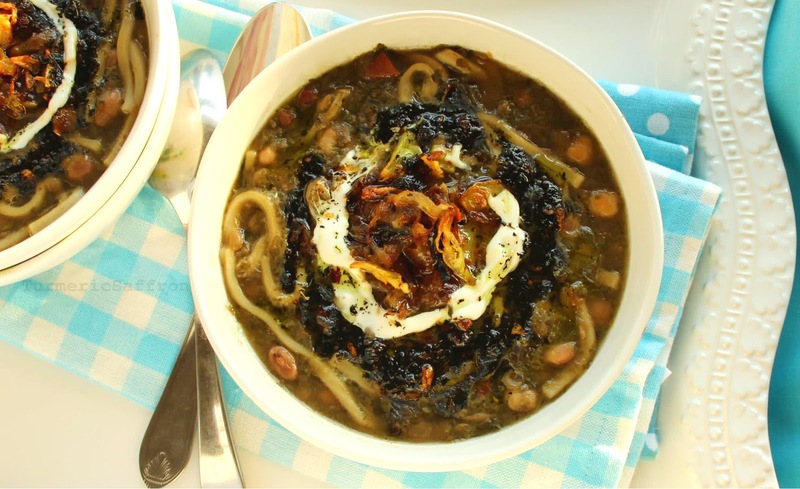 لوبیا پلو Loobia polow is a delicious one-dish meal for the whole family. 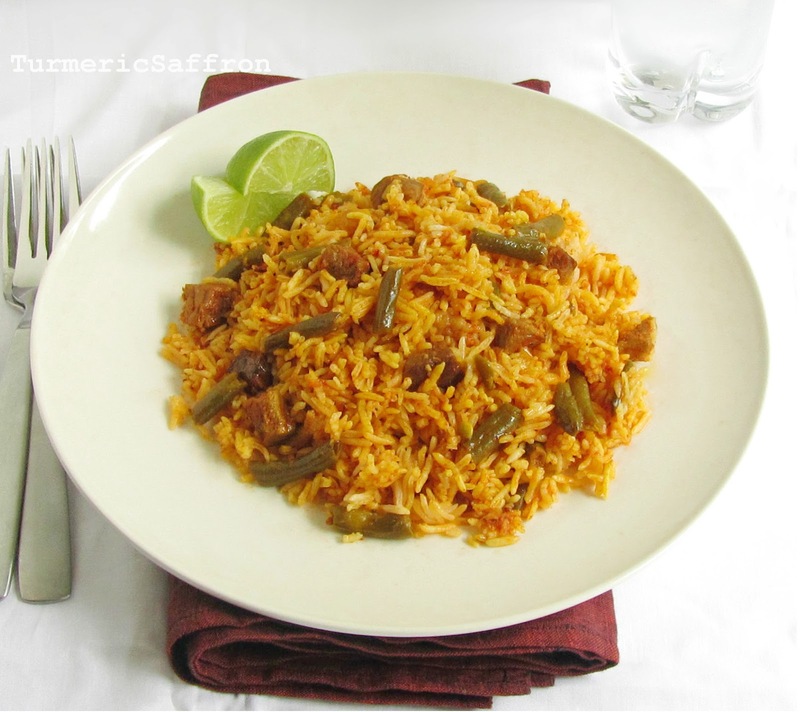 A tasty combination of rice, diced lamb/beef and cut green beans. 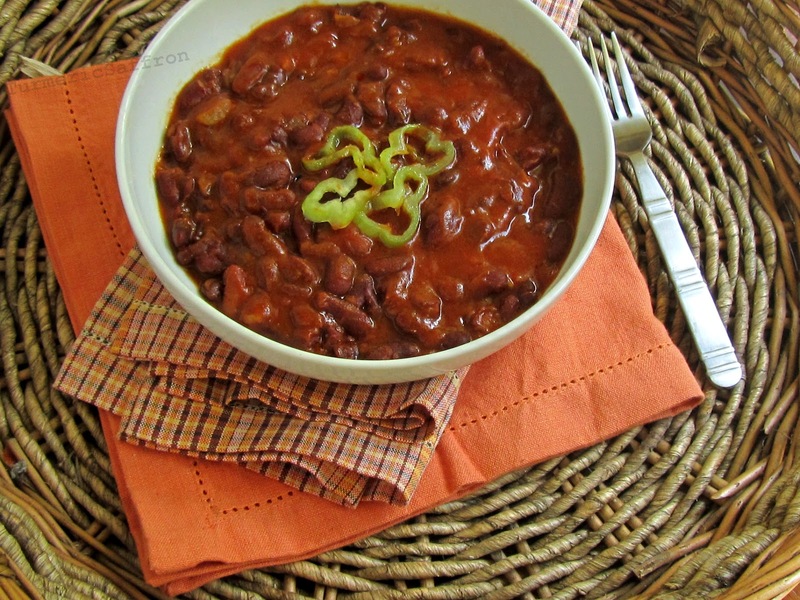 I make loobia Polow quite often for my family. In a large bowl wash the rice thoroughly, rinse with cold water and drain. Soak the rice in 8 cups of water, add 4 tablespoons of salt and set aside for a couple of hours. In a pan, saute chopped onions in 3 tablespoons of oil over medium heat for 5-7 minutes or until transparent. Add turmeric powder, mix well. Add the meat and cook until browned. Add tomatoes and the green beans to the pan and cook for another 5-7 minutes. Add tomato sauce, juice of a lime/lemon, cinnamon, salt and pepper to taste. Cook for another 15-20 minutes on low heat. In a large saucepan, bring 3 quarts of water to a rapid boil. Drain the rice and pour into boiling water. Bring the water back to a boil, cook for about 7 minutes on medium-high heat or until the grains are long, soft on the outside and firm in the center. Test to see if the rice is ready. Drain the rice in a colander and rinse well with cool water. Add 4 tablespoons of oil to the bottom of a non-stick pot. Add a layer of rice and the mixture of meat and bean sauce, building it up to a pyramid shape away from the sides of the pot. Make 4-5 holes in the rice with the bottom of the spatula. Cook for about 7- 10 minutes on the medium-high heat until rice is steaming. You may cover the lid with a kitchen towel to prevent the moisture from building up in the pot. Cover, reduce heat to low and cook for 50 minutes to an hour. Don’t overcook this rice. You don’t want it to become too mushy. 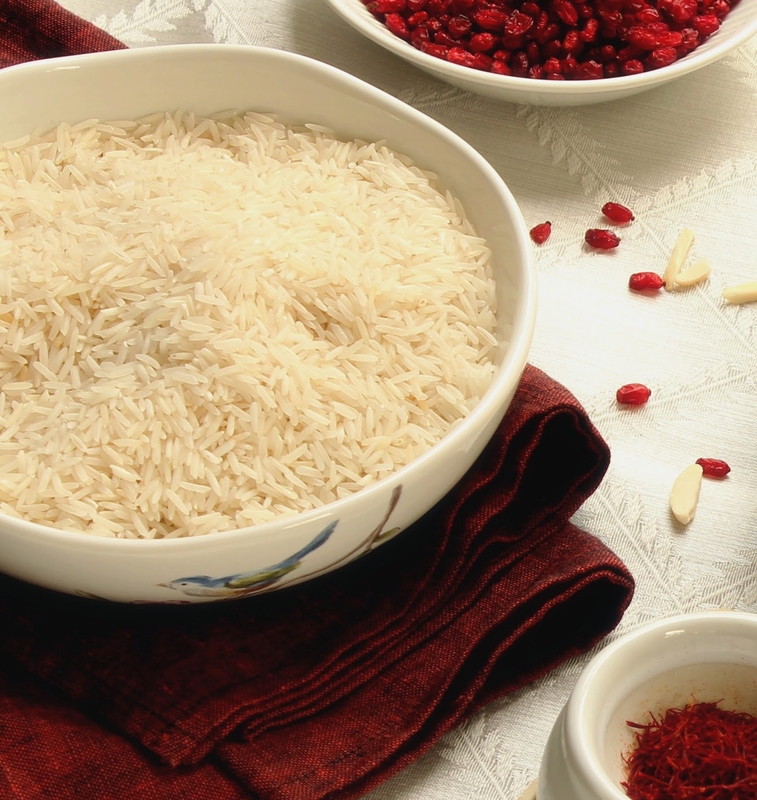 Place rice on a serving platter, gently remove the crusty bottom (tahdig) and serve in a separate plate. 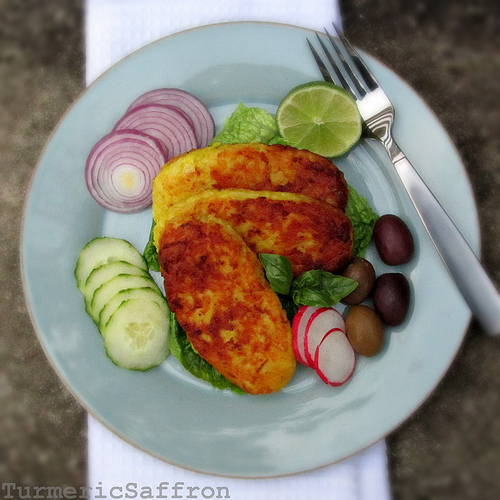 Serve with salad, mast o khiar or some torshi (pickles). سالاد شیرازی Salad Shirazi is a classic Iranian salad of cucumbers, tomatoes and onions with fresh lemon and olive oil dressing. This is a healthy and easy side dish for any occasion. In medium mixing bowl, whisk together, olive oil, lime juice, dried mint, salt and pepper. Taste and adjust seasoning. Add in the tomatoes, onion and cucumber, gently combine. Serve chilled or at room temperature. This is a tasty and healthy dish that my mother used to make frequently when I was growing up. 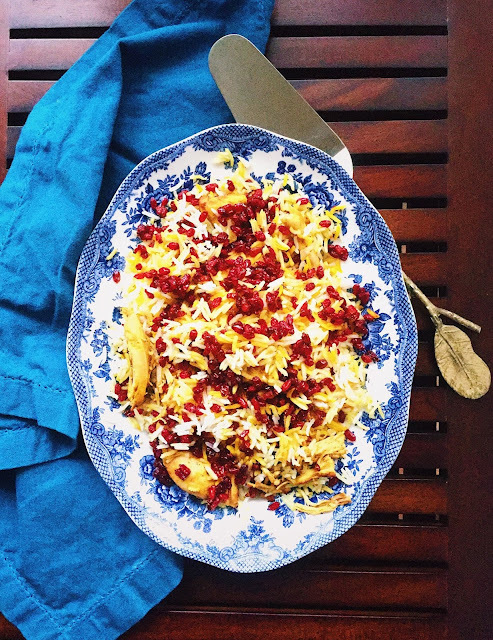 خوراک لوبیا Khorak-e loobia is one of my favorite side dishes of all time and I make it fairly often. I like to add a generous amount of lemon juice after beans are cooked. Pick over the beans, rinse thoroughly and soak them in water overnight. Pour the water out, rinse and place the beans in a large pot, add 6 cups of water, bring to a rapid boil on high heat, reduce the heat and cook for 15 minutes over medium-high heat. Drain the beans in a colander, return the them back into the pot, add enough water to cover the beans by two inches, cover and cook for an hour on medium heat. Add garlic and saute for 2-3 minutes. Then add the tomato paste, salt and pepper, stir well, saute for another couple of minutes. Add a cup of warm water, simmer on low heat for 10 minutes. Pour the content of the skillet – onion, garlic and sauce mixture into to the pot, stir. Khorak-e loobia can be served warm or cold. 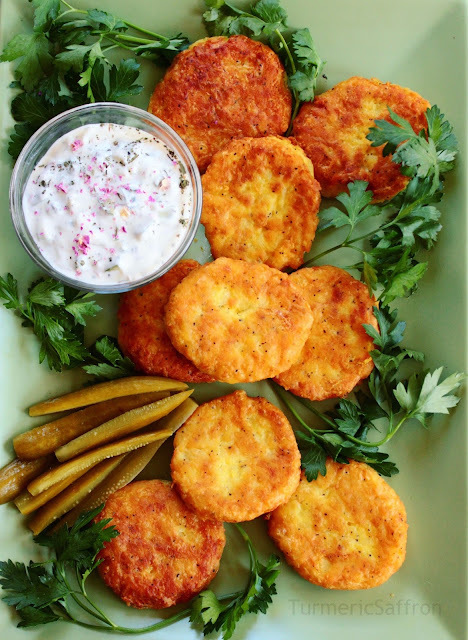 This delicious and healthy side dish is very easy to make. ماست اسفناج Mast Esfenaj/ Borani Esfenaj goes great with bread, most rice and stew dishes, grilled meat, fish and bread. Wash and cut spinach into small pieces. Place the spinach into a medium size pan, add 1/2 a cup of water, bring to a gentle boil over medium-low heat, reduce heat, steam for 7-10 minutes or until spinach is tender. Set aside to cool. Add 2 cups of yogurt, minced garlic, walnuts, salt and pepper, mix well. Garnish with chopped walnuts and rose petals.